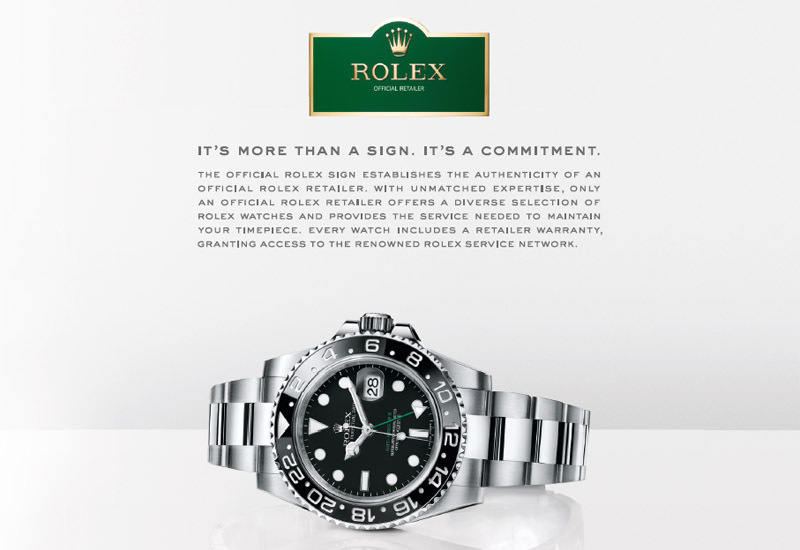 Rolex has launched an ad campaign to push consumers to authorised retail dealers in a bid to safeguard shoppers. The campaign, which the brand has dubbed The White Campaign, has already featured in national newspaper The Times and a spokesperson for the brand has said that there will be “lots more of that over the coming months”. Rolex will also make the adverts available on a co-op basis so that authorised dealers can use it to run local campaigns. The ads, which were devised by agency JWT in New York, have run with the slogan “It’s more than a sign. It’s a commitment.” and boast the benefits of only dealing with authorised retailers.